In the United States, buildings account for 39% of all energy consumption and 14% of all potable water consumption. 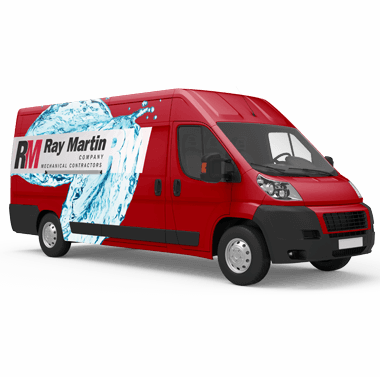 Ray Martin Company supports all measurable and verifiable methods of energy and water conservation that can impact these statistics. We understand the commitment required of all team members to achieve LEED® guidelines. We have worked with outside commissioning agents for LEED® and know what it takes to do it right. LEED stands for Leadership in Energy and Environmental Design. LEED enables building owners and operators to identify and implement green building design, construction, maintenance solutions, and operations. How does LEED Certification work? The LEED rating system, created by the USGBC, provides third-party verification that a building or community was designed and built using strategies aimed at increasing performance, reducing waste, and improving quality of life. Each strategy listed on the rating system checklist is catalogued as a credit. Credits are grouped into six major categories: Sustainable Sites, Water Efficiency, Energy & Atmosphere, Materials & Resources, Indoor Environmental Quality, and Innovation in Design & Regionalization. All the credits in these categories are worth a certain number of points. For every strategy utilized in a LEED-registered project, the building acquires the corresponding number of points for that credit. The greater number of points, the more likely the building will qualify for LEED Certification. There are different levels of LEED Certification, based on this point range. If all buildings are trying to achieve LEED Certification, why are there multiple rating systems? There are several LEED rating systems available for different types of buildings. For instance, there are different requirements if you want to build a home versus an office building. Likewise, there are LEED rating systems for commercial, institutional, residential, and just about every other type of building that you can think of. The LEED AP with Specialty credentials are aligned with these rating systems, so you can market yourself as an accredited professional in a specialty area. What's the difference between LEED Certification and LEED Accreditation?